The city's housing market continues to be strong, despite the downturn in the economy and the collapse of oil prices, according to the Realtors Association of Edmonton. The group met Tuesday to review the 2015 market. Annual statistics show the number of houses for sale in Edmonton remained high, and so did the price tags. "I think the outcome of the year actually has — in my opinion — been a little bit of a surprise," said Geneva Tetreault, who chaired the association last year. "I think, especially when we compare ourselves to other parts of the province, Edmonton has fared very well. "It's overall been a good year, but it's overall been a cautious year for a lot of people." Though the market remained relatively stable, things began to cool in the fall when inventory was higher than normal, Tetreault said. That increase in listings was highlighted by a year-end inventory of 5,088 properties on the market, up dramatically from the end of 2014, when 3,059 properties were listed for sale. "We continued to see homebuyers take advantage of low mortgage rates," Tetreault said. "We continue to see a tight market in the popular $400,000 price range for single-family homes." Sales of all residential properties in the Edmonton region were down nine per cent from 2014, the association said. Single-family home sales were down nine per cent over the year before, and condos were down 13 per cent. 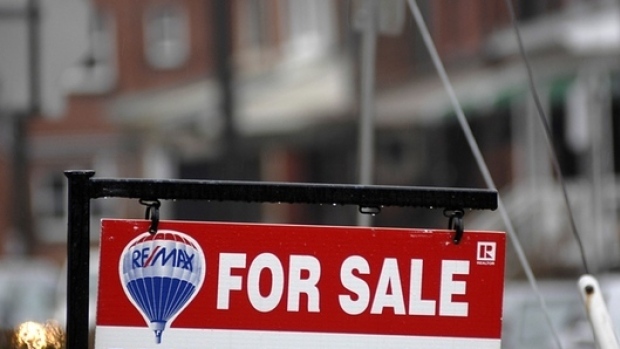 Duplex and row-house sales, however, were up six per cent. In all, 17,298 residential sales were reported in 2015, compared to 18,991 the year before. Though sales were down, prices were up slightly. Single-family homes sold for an average of $437,569, while condos sold for an average of $252,954. Tetreault said the city's focus on infill housing helped increase the number of homes for sale. But many buyers remain wary of the unstable economy. Ron Hewitt said that's made things harder for sellers. Hewitt buys, renovates, and sells homes. The duplex he bought and renovated last year has been on the market since September. It still hasn't sold. "When we were working on this place, we just thought that things were going really well," he said. "We were quite confident this was going to sell, and that hasn't happened. So, of course, it's very frustrating." He thinks smaller, cheaper homes are more popular right now, and buyers have more choices since there are so many homes on the market. Tetreault says prices remain relatively stable, but that could change if too many homes go on the market in 2016.